At Oakes Law Firm in Paducah, we have a record of success assisting injury victims, and we are now proud to be able to offer the same high-quality representation to family law clients. For more than 20 years, residents of Kentucky and Tennessee have relied on David Oakes and Michelle Williams to obtain compensation for harms and losses caused by the careless and reckless actions of others. Often, the firm has earned superior results in tough cases that other lawyers wouldn’t touch. Whether your particular challenge involves a crash caused by an over-the-road (OTR) truck driver, a maritime injury or a contentious divorce, we deliver effective advocacy in state and federal court. We know the law and are not intimidated by complicated cases, bitter disputes or powerful opponents. If you believe that your legal concern merits a tenacious advocate, the Oakes Law Firm provides the support you deserve. Skilled — In personal injury litigation, David Oakes and Michelle Williams’ years of experience taking cases to trial allows the firm to attack wrongdoers effectively and helps defeat the dishonest defenses that insurance companies and large corporations routinely employ. Attorney Michelle Williams is an accomplished family and domestic relations lawyer who has obtained favorable results for clients in the Paducah area. Strategic — After a thorough review of the facts in your case, we develop a plan of action to achieve the best outcome for your case. Responsive — Our lawyers understand how stressful the uncertainty of a legal case can be, so we strive to answer clients’ questions promptly and clearly. We provide a free initial consultation so you can learn how the law applies to your case before you make a decision on how to proceed. OTR truck accidents — David Oakes and Michelle Williams has significant experience litigating cases arising from collisions with commercial trucks and understands the special rules and regulations that apply to those vehicles and drivers. A collision involving a tractor-trailer should not be handled like an ordinary car wreck case. Maritime law — The Oakes Law Firm litigates maritime and admiralty disputes, including Jones Act and unseaworthiness claims, for river workers in western Kentucky and Tennessee. Wrongful death — For family members who have lost a loved one to someone else’s negligent or intentional actions, no amount of money can compensate. However, a wrongful death lawsuit can help you obtain relief for the financial loss you’ve suffered, including medical and funeral expenses and wages that your loved one would have earned. You may also have a claim for loss of the companionship and society of your loved one. Products liability — People have a right to trust that the products they buy are safe when used as intended. Defective products that make it to the marketplace can do serious damage to consumers. Even in products liability cases requiring highly technical evidence, our firm can build a strong argument on your behalf. Civil litigation — For other cases involving civil litigation, the Oakes Law Firm delivers tireless advocacy designed to achieve your specific objectives. Family law — Our firm advices clients facing a divorce, custody matter or other type of family law issue by effectively enforcing their rights. The Oakes Law Firm represents Kentucky and Tennessee clients in various legal matters, including injury, wrongful death and family law cases. Please call 270-908-2843 or contact us online for a free initial consultation. 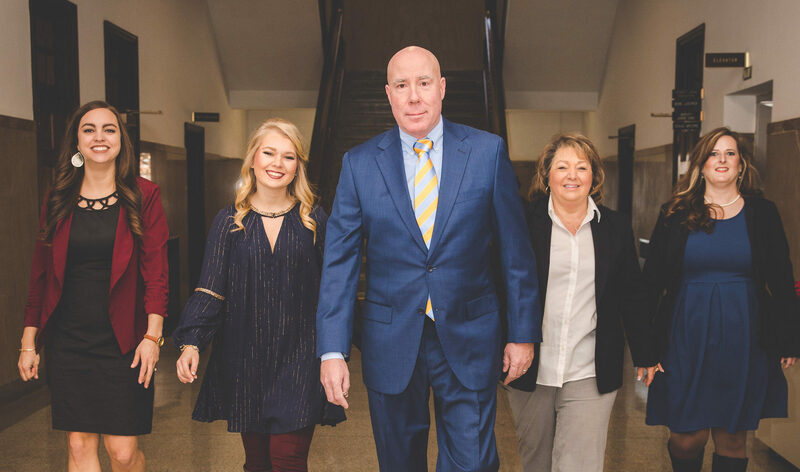 Oakes Law Firm is located in Paducah, KY and serves clients in and around Ledbetter, Paducah, Symsonia, Boaz, Graves County, Livingston County and Mccracken County.